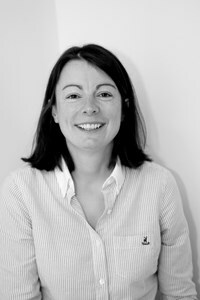 Sarah graduated from Dundee university in 1996 and after working in private practice in England for a number of years, joined Helens Bay Dental Practice in 2004. During that time she has continued to develop her special interest in cosmetic dentistry by attending an extensive number of post-graduate courses including a certificate in restorative dentistry from St Anne’s Dental centre and a one year certified course in cosmetic dentistry with Dr Chris Orr. Sarah has been using short-term orthodontic option Invisalign since 2005 and more recently, Six Month Smiles for adult tooth straightening. Both treatments receive extremely positive feedback and further patient case information, including before and after photos, can be found under dental care on our website. At Helens Bay Dental Practice Sarah aims to provide a professional quality service, incorporating a range of restorative and cosmetic solutions, in a relaxed and friendly environment. Sarah graduated from Dundee university in 1996 and after working in private practice in England for a number of years, joined Helens Bay Dental Practice in 2004. During that time she has continued to develop her special interest in cosmetic dentistry by attending an extensive number of post-graduate courses including a certificate in restorative dentistry from St Anne’s Dental centre and a one year certified course in cosmetic dentistry with Dr Chris Orr. Sarah has been using short-term orthodontic option Invisalign since 2005 and more recently, Six Month Smiles for adult tooth straightening. Both treatments receive extremely positive feedback and further patient case information, including before and after photos, can be found under dental care on our website. At Helens Bay Dental Practice Sarah aims to provide a professional quality service, incorporating a range of restorative and cosmetic solutions, in a relaxed and friendly environment.